This topic contains 6 replies, has 5 voices, and was last updated by BT Nutritionist 2 years, 5 months ago. Does anyone have any helpful tips re how to get out of a plateau? I have tried eating less, eating more, exercising more…… This seems to happen every time. I lost 3kg in the first week, then, whatever I do, I seem to stay at the same weight or even increase a little. The slight increase may be due to a change in bowel habits! I know that one’s metabolism can slow down when restricting calories, so I ate a lot more one day to try to boost it. All that happened was I put on 0.5 kg overnight. Please help! Consistency is key! Sometimes it can take a little while for the body to adjust to new habits and changes in dietary patterns. Stick to the guidelines and ensure you are consistent with what you are doing- food intake, fluid intake and exercise. Louise’s suggestion of only weighing in once a week is a good idea. It can be tempting to weigh yourself more often but try not to be too fixated with the number on the scales each day, fluctuations in weight do occur over the day and much of this can even just be down to water intake. I suppose this is for the BT nutritionist or any long term BT trimmers. If you plateau would it be worth doing the fast again to kick start your metabolism. Just putting the question out there. 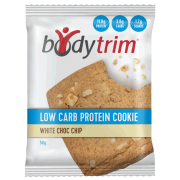 The idea of the Bodytrim program is to create healthy habits and learn how to incorporate healthier whole foods into the diet for weight management that is more sustainable long term. The FAST Shakes are nutritionally balanced meal replacement shakes and are great for the short term, but they will not provide you with all the nutritional benefits of real food. The shakes provide a convenient, nutritious option (added vitamins and minerals) for helping to initially ease into the program, but overuse of them could set you up for failure later on down the track as they are simply not sustainable long term. If you find yourself in a plateau our best advice we could give would be to stay consistent! Revisit the guidelines and ensure you are being compliant and haven’t slipped up anywhere. 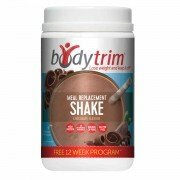 During the Body Trimming phase you can still opt for a FAST Shake for breakfast if you wish and find this helpful. Ensuring you follow the guidelines we have set out to the letter should in fact help you to lose weight faster than if you were to continue using the shakes. Additionally you will be happier with having more variety in your diet (if you get bored you are more likely to lapse and undo all your hard work), and by incorporating real foods you are creating a diet that will be easier to follow long term. We are sorry to hear that you have not seen the results you would like from the program so far. The amount of weight lost in the first few days can vary from person to person as it depends on several factors. On average, we have about 500g of stored carbohydrate, which holds water, in total this contributes to around 3kg of body weight on the scales. If your carbohydrate intake is decreased during the FAST Start phase, the body will start to tap into your stored carbohydrate and this weight is lost. Some people will lose more if they have also substantially reduced their overall food intake as a result of being on the program. 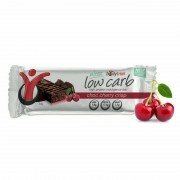 For the people that lose less, it is usually because they already had a relatively low carbohydrate diet, so this initial weight had been lost in the past, or they already had a low-moderate overall food intake, so the difference in food intake was less dramatic resulting in less weight lost initially. Other factors which may play a role in your weight loss are metabolic rate and hormones. 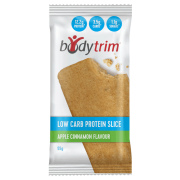 Some people tend to eat irregular meals, so when small regular meals are added on Bodytrim, the metabolism needs a bit of time to adjust. This can also be the case for hormones needing to balance out and sometimes it can take a few weeks for the body to get into balance and start shifting the weight effectively. The best thing to do is to stay consistent and allow your body time to adjust to this change. Realistically a safe weight loss goal would be roughly 500- 1kg per week. It can be frustrating when you are wanting the pounds to drop off, but slower weight loss has been found to lead to more sustainable results long term as you have taken the time to form these healthy habits rather than maybe depriving yourself of food (which is really not sustainable long term). You’re doing great Linda, don’t get disheartened, stay consistent and your hard work will pay off!